Most people do not know that many doctors who work in hospitals are not hospital employees, but independent contractors. This is not a distinction without meaning. The distinction can have significant legal consequences for the victims of medical negligence seeking to be fairly compensated for harm done, especially catastrophic damage. Generally, employers are bound by the negligence of their employees. This is the concept of respondeat superior, where a passive party is liable for the negligence of another party. The legal principle is not applicable in relationships involving independent contractors. The general rule is that entities, including hospitals, are not liable for the negligent acts of independent contractors. In the present matter, evidence presented to the trial court for the purpose of the summary judgment proceeding demonstrated that Sarasota Memorial maintained a radiology department which was physically located within the hospital’s grounds. Sarasota Memorial contracted with SMH Radiology Associates, P.A., for it to be the exclusive provider of professional radiological services at the hospital. Dr. Lichtenstein was an employee of SMH Radiology on the date he interpreted Mr. Roessler’s scans. Neither Dr. Lichtenstein nor SMH Radiology had offices outside of Sarasota Memorial’s hospital grounds. The radiologists employed by SMH Radiology, including Dr. Lichtenstein, worked at Sarasota Memorial to provide all professional radiological services twenty-four hours a day, seven days a week, to Sarasota Memorial’s inpatients and outpatients. Mr. Roessler sought the services offered by Sarasota Memorial when he went to Sarasota Memorial’s emergency department. 1163*1163 He was admitted to Sarasota Memorial as an inpatient through Sarasota Memorial’s emergency department. Once Mr. Roessler arrived at Sarasota Memorial and was admitted as an inpatient, the hospital provided him with the health care services and providers it determined to be necessary. Such services included inpatient professional radiological services, which were provided by Sarasota Memorial through its radiology department. After abdominal scans were taken in its radiology department, Sarasota Memorial assigned Dr. Lichtenstein to interpret them. Like the plaintiff in Cuker, 605 So.2d 998, Mr. Roessler did not attempt to secure a specialist on his own, but instead accepted the physician provided to him by the hospital. Where the duty is non-delegable. See Pope v. Winter Park Healthcare Group, Ltd., 939 So.2d 185, 187 (Fla. 5th DCA 2006). With regard to hospitals, the duty may arise out of a statute, a regulation, or a contract. Id. at 187-88. The contract concept is summarized well in a jury instruction the appellate court in Irving v. Doctor’s Hospital of Lake Worth, Inc., 415 So.2d 55 (Fla. 4th DCA 1982) decided should have been given by the trial judge: “[O]ne who undertakes by contract to do for another a given thing cannot excuse himself to the other for a faulty performance, or a failure to perform, by showing that he has engaged another to perform in his place, and that the fault or failure is that of another or independent contractor.” Irving was an action involving the liability of a hospital for alleged negligent diagnosis and treatment by an emergency room physician that resulted in serious injury to appellant’s minor daughter. 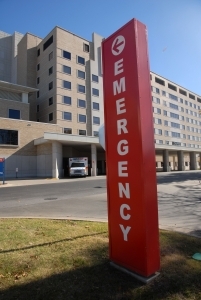 The ER physician was an independent contractor, rather than an employee of the hospital. The DCA reasoned that since the hospital was under contract to render medical care to the child, it could not excuse the fault of the ER doctor because he might have been an independent contractor. The importance for victims of establishing an exception comes down to receiving full compensation for damages sustained. Full compensation includes money for past and future medical needs, lost wages, and pain and suffering. It is not unusual for independent contractors working in hospitals to have insurance coverage limits below the amount required to fully compensate those harmed by medical negligence, especially for catastrophic injuries. In contrast, hospitals typically maintain adequate limits. As evidenced by the many appellate level cases, this issue is often hotly contested. Exception cases are fact intensive. Trial courts must exercise extreme caution when considering summary judgment, i.e., preventing the jury from being allowed to weigh the facts.